Winning the unofficial “Fifth Major” sounds like child’s play for 23-year old McIlroy, whose play-off defeat to Rickie Fowler in the Wells Fargo Championship at Quail Hollow on Sunday was his fifth second place finish from just 23 starts over the 12 months. Considering he has won another four events, including last year’s US Open, and recorded 17 top-10 finishes in the same period, he’s arguably the hottest player on the planet. Only Luke Donald, who lost the No 1 spot to McIlroy on Sunday, can argue the toss. The Englishman has four wins, two seconds and 16 top 10’s in the 27 events he’s played since finishing fourth behind KJ Choi at Sawgrass last year. On current form, either man could win. But on paper at least, the records say that McIlroy will do well to make the cut on a course he says he simply doesn’t like. At least, that’s what he said in Dubai at the end of 2010, when he was trying to justify his imminent decision to skip The Players last year. No-one could really blame McIlroy for skipping Sawgrass. After all, he played in the event in 2009 and 2010 and missed the cut both times. He’s never broken par in four attempts, shooting rounds of 74 and 77 on his debut. On his return in 2010, he arrived in Jacksonville having just won his maiden PGA Tour title at Quail Hollow. He celebrated his 21st birthday during tournament week but shot jaded rounds of 73 and 72 to miss the cut again. In hinting last year that he would probably join stablemate Lee Westwood in giving Sawgrass a miss in 2011, McIlroy was being loyal to Chubby Chandler’s ISM stable and the larger than life agent’s somewhat ambivalent attitude towards the PGA Tour. “They start dictating to you,” was his warning shot to McIlroy when he considered joining the tour against the bosses wishes following his attention-grabbing performances in 2009. 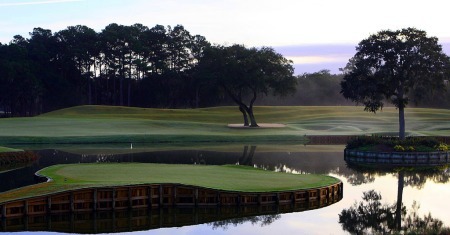 It’s a Pete Dye course, and it’s sort of, it’s just — I find it very awkward off the tee. You know, you’re hitting across fairways all the time. It creates angles, a bit like Whistling Straits. He designed that course, as well, where the tee boxes are sort of lining you up in the wrong direction. Visually, visually it’s very tough off the tee, I find. He makes you feel uncomfortable, because it looks like you’ve only got a little bit of fairway to hit it but actually once you get up there, it’s a little bit wider. It’s just very visually demanding I think. Q. And do you like Quail Hollow because you’ve won there, or because the design suits your eye, and who designed it? RORY McILROY: Not sure who designed it. I think Quail Hollow is a bit like a mini-Augusta in a way. They have got the same sort of bunkers and very similar greens. Yeah, it’s more of a straightforward golf course. You know, there’s a lot of definition. You can see where you’re going. But I mean, the two, they are like chalk and cheese, it’s sort of hard to compare them. Yeah, it’s personal preference. 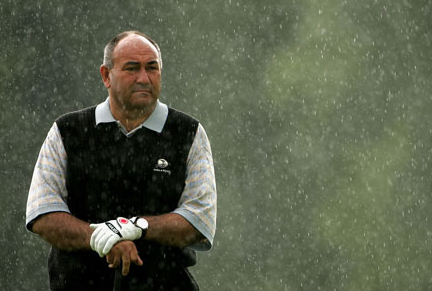 Some guys love Sawgrass and some guys don’t like it so much. All has changed in McIlroy’s world since then, of course. Quite apart from finding love with the tennis player Caroline Wozniacki, he has now left Chandler and has Dublin-based Horizon Sports Management looking after his affairs. As a result, Sawgrass is very much back on his schedule. McIlroy is now an American idol, one half of a Rory-Rickie axis that is already being hailed as a rivalry to match the Woods-Mickelson dynamic that fuelled the PGA Tour for 15 years. Neither Horizon nor McIlroy were willing to thumb their noses at the US public, Tim Finchem or the PGA Tour by snubbing their flagship tour event. But it still remains to be seen if he consign his dismal Players Championship record to history and justify his standing at the best player on the planet.